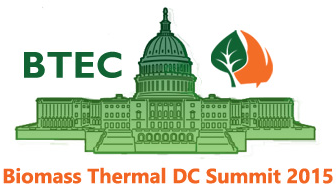 The newly reinstated Congressional Biomass Caucus will hold a panel discussion on bioenergy next Wednesday, Oct. 21, the Third Annual National Bioenergy Day. The discussion, titled “Biomass Energy and Responsible Forestry Practices,” will take place at 1334 Longworth House Office Building at 1:30pm on Oct. 21. Speakers will include Julie Tucker with U.S. Forest Service, Carol Werner with Environmental and Energy Study Institute, Bob Cleaves with Biomass Power Association, Tom Wilson with Wilson Engineering Services, and Thomas Meth with Enviva. All PFI members who plan to be in Washington, DC, next Wednesday are welcome to attend the discussion. We look forward to continuing to work with the co-chairs, Rep. Ann Kuster (D-NH) and Rep. Bruce Westerman (R-AR), to build membership of the Caucus. Additional events are scheduled across the country to celebrate National Bioenergy Day. Visit www.bioenergyday.com to learn more. All these efforts have been performed under the goal of efficient utilization of forest residues as a way to cost-effectively manage forest residues, maximize environmental benefits, and create opportunities for production of bioenergy and bio-based products. The U.S. Department of Energy (DOE) will present a live webinar titled “Bioproducts in the Federal Bioeconomy Portfolio” on Monday Oct. 26, 2015, from 1 p.m. to 2 p.m. Eastern Daylight Time. Join DOE’s Bioenergy Technologies Office (BETO) Technology Manager Nichole Fitzgerald, U.S. Department of Agriculture BioPreferred Deputy Program Manager Kate Lewis, and the Ohio State University Bioproducts Innovation Center’s Director Dennis Hall for a webinar on how the federal government is promoting sustainability through bioproducts research, commercialization, and market development. Register Now! The pellet buying season for all users of pellet fuel appliances is well underway for PFI members and their retailers. The recent addition of Indeck Ladysmith LLC to the PFI Standards Program brings the total fuel manufacturers to seven – and we look forward to welcoming many more over the coming months. New and improved website content on the PFI Standards Program and Quality Mark. Flyers created specifically for retailers to share with their employees who interact directly with customers, helping them identify the Quality Mark. Outreach to Hearth Patio and Barbecue Association (HPBA) affiliate members to inform them about the program’s developments and the tools available to their members. Outreach to hardware retail media outlets to update them on the program and encourage them to incorporate information on the Quality Mark in their stories on pellet fuels and stoves. An ad campaign on Hearth.com pellet fuels forums, directing readers to the PFI website to learn more about PFI graded fuel, the program and its members. PFI continues to reach out to key audiences on the PFI Standards Program. We welcome ideas for outreach; please contact Carrie Annand at [email protected] with any comments or suggestions. A potential revolution is unfolding on out-of-the-way logging roads. Foresters and researchers are innovating unique ways to make use of forest residues—low quality trees, tree tops, limbs, and chunks that formerly would have been left in slash piles and burned, or worse, left to rot. The city of South Sioux City has been awarded two grants totaling $153,493 to help finance a woody biomass energy system and generator at the city's Scenic Park Campground. The system, the first of its kind in Nebraska, uses waste wood and tree debris as fuel to produce heat and electricity for a generator for 10 to 12 campsites in the park, said South Sioux City parks director Gene Maffit. At a recent meeting of the Pellet Fuels Institute (PFI) Board of Directors, the board approved modifications to the PFI Standards Program, a third party accredited program that enables consumers to easily identify PFI Graded Fuel – pellets from pellet manufacturing facilities that are subject to regular third party inspection and laboratory testing. - A clarification that in referencing bags or weights, the program is not a weights and measures program. Individual states provide their own weights and measures oversight. - Reductions in the sampling frequency for manufacturers who demonstrate and maintain compliance with the program and who commit to setting up more comprehensive on-site testing and monitoring protocols (from one sample per 1,000 tons to one per 5,000 tons for qualifying producers). - Non-conformance level reduced from 95 per cent to 90 per cent. The previous level did not allow for virtually any variance from any test result at any time. - The inclusion of rules of using the PFI Quality Mark (Annex A.1 in the program’s QA/QC Handbook).